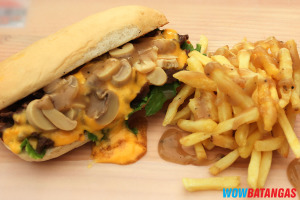 Just this year, burger joints have been popping up here in Batangas and every new store promises of serving delicious burgers that everyone has been craving for. This article is on BRGR ST., a burger joint that will satisfy your cravings and will make you drool in the process. Owned by Chef Jomar Aldover, Burger Street (BRGR ST) started last July 04, 2014. It is called BRGR ST because the restaurant is setup on an actual street. 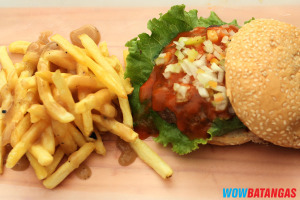 It is a home-based burger joint located inside a subdivision in Batangas City. 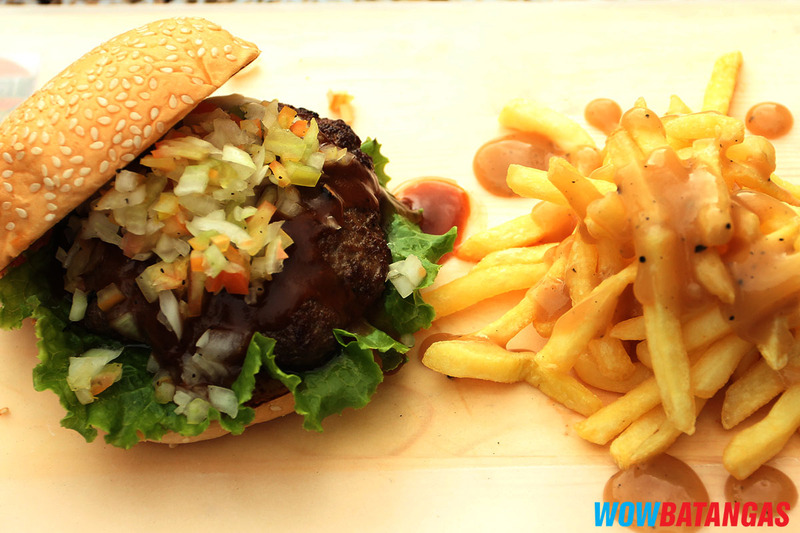 Chef Jom initiated a soft launch before opening, and could not believe that almost all his patties were sold out. Chef Jomar said that having his own restaurant is his dream. Now that he was able to start BRGR ST, he is now looking to serve his customers the best burgers in the city. He personally oversees the grinding of the beef to make sure that he gets the parts that he wants. 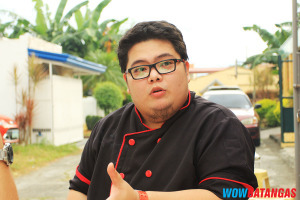 And deriving from the success of KFC and other secret recipes, Chef Jom alone knows how to make the mouth-watering patties and sauces that his customers go back to. We arrived at BRGR ST earlier than its published opening time so that we can do some pictorials and have our burgers without being a nuisance to the other customers. We were graciously served the Cheese Burger, Hickory Smoke Burger, Spicy Buffalo, the Tower Burger, Texas Chili Cheese Dog and Philly Cheese Steak. 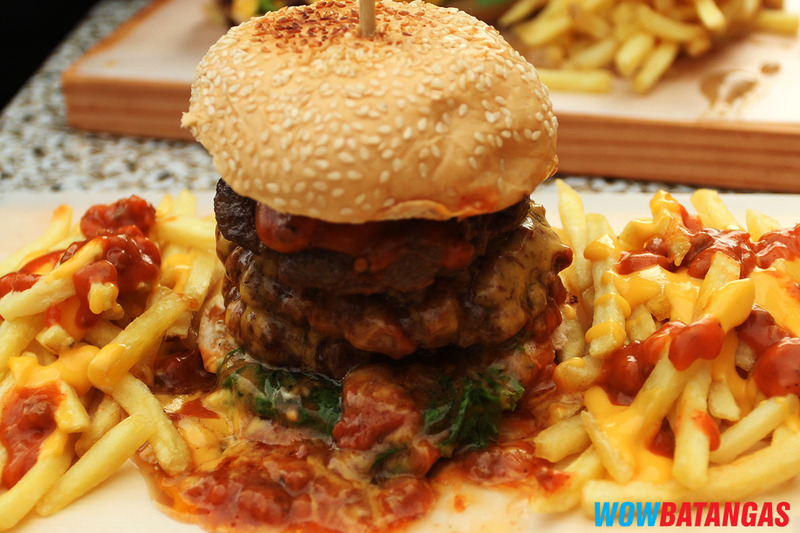 Each bite was sensational and we finished most of what was served, except the huge three-patty Tower Burger. BRGR ST has indeed lived up to its reputation and eating our burgers transported us to somewhere in the US where these kinds of burgers can be mostly found. 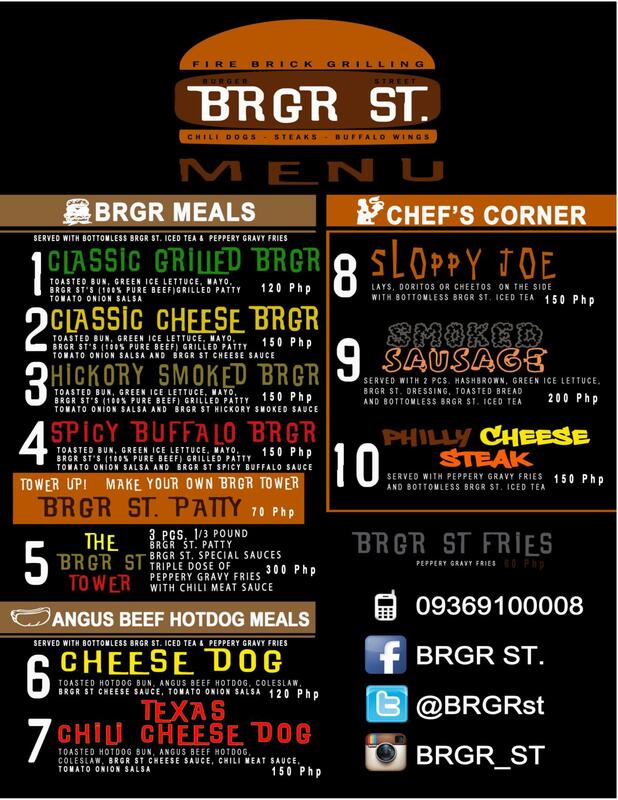 BRGR ST is open Thursdays and Saturdays from 6pm till the last patty. 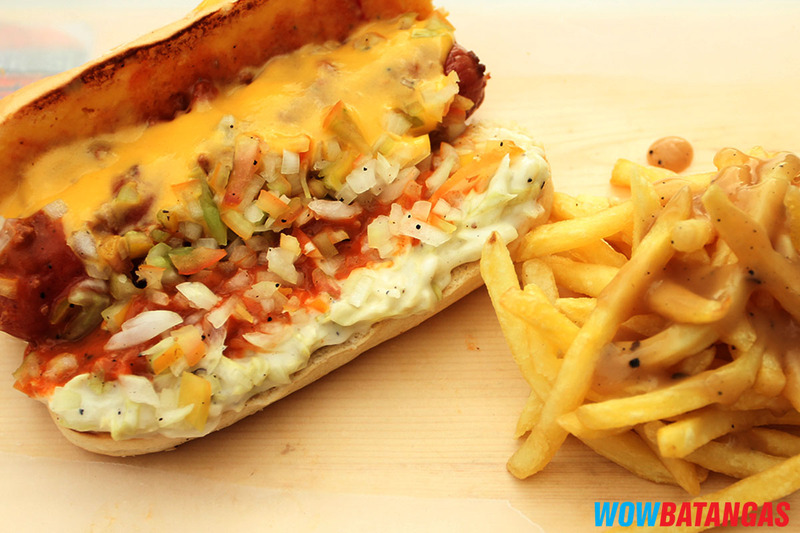 Chef Jomar only wanted to open his store on those days to be different from other stores, as well as create a demand during its open day. 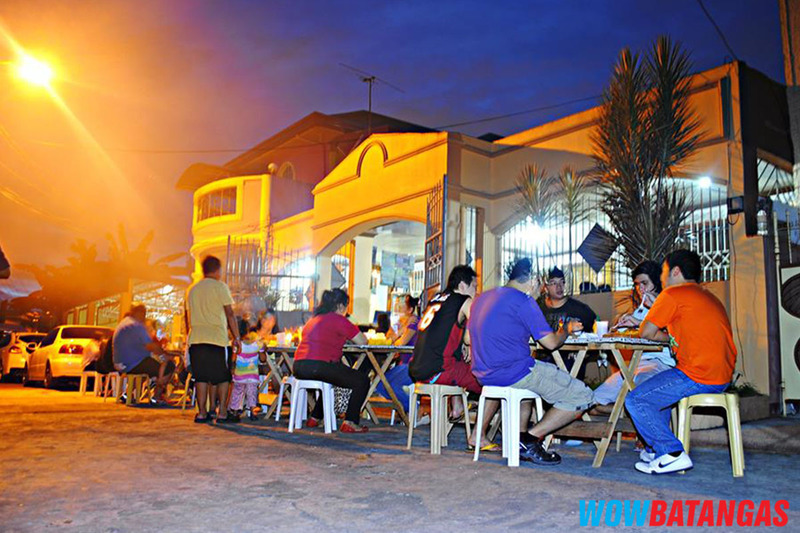 As a marketing tool, Chef Jomar takes pictures of his customers and posts them on FB. His customers now enjoy seeing the social media photos of their meal and their group shots at the store. 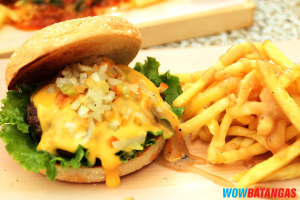 Try BRGR ST and you’ll find your self there again and again. Directions : From Star Toll exit, proceed to Alangilan and watch out for Madonna Subd. on the left. Coming from P Burgos St, go to Alangilan and Madonna Homes would be on the right. 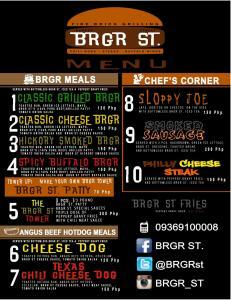 On Thursdays and Saturdays, you’ll know where BRGR ST is from the huge number of cars parked near hef Jom’s house. WOWBatangas Team – JR Cantos, Maria Celina Valencia, Andrea Josa Suazo, Nicole John Martinez and Dennis Llanes.